Simon & Schuster/Paula Wiseman Books, 9781442483040, 144pp. BFF dilemmas can be tricky, but it’s easy to make friends with these two irresistible Amelia stories—now available together in one book! 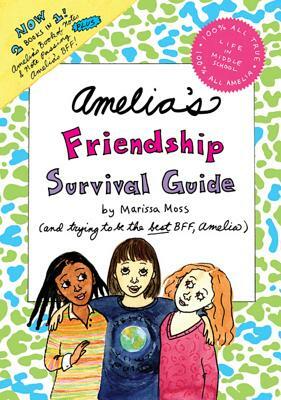 Two fantastic tales of friendship from Marissa Moss’s bestselling Amelia series are paired together in this relatable bind-up. In Amelia’s BFF, Amelia is excited for Nadia, her BFF from back in California, to meet Carly, her BFF in Oregon. But the two don’t hit it off at all, and Amelia is trapped in the middle. When your two best friends are warring, do you have to choose sides? And in Amelia’s Book of Notes & Note Passing, Amelia is upset when a stylish new girl, Maxine, starts hanging out with Carly—and mysterious notes start appearing in Amelia’s locker. Is Maxine after her BFF?